FOSTER OR ADOPT Mattie was found WITH 2 other dogs. 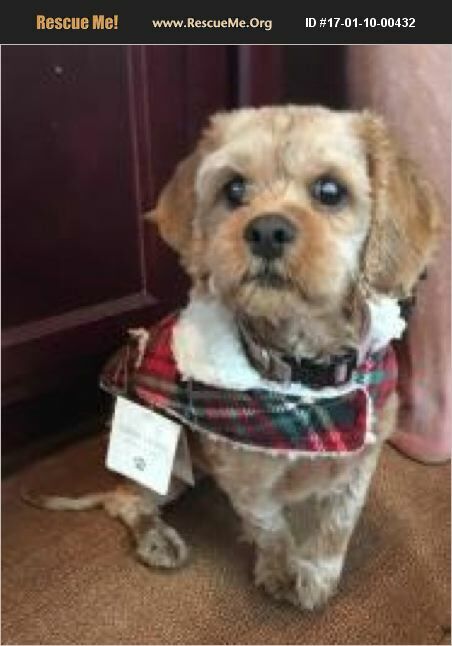 She is thought to be about 3 years, a shih tzu/cocker spaniel mix ; weighs about 13 pounds and is blind. Mattie is a little love bug! Her favorite things to do are to snuggle, give kisses, go for walks ; car rides and play. She is independent but needs help coming down the stairs and is startled occasionally - usually by the cats, although that is happening less often. She gets along great with dogs and is learning to live with cats. Mattie is almost house trained. Mattie is also being treated for a mild case of heartworms. You must have a fenced yard, a vet reference , no children and be a permanent resident of Jacksonville.